Our flight into Reyjkavik was an adventure in itself. The plane had its landing gear engaged and we were still in the clouds. Thinking we were still way above the clouds in the air we suddenly feel a jolt and we’d touched ground. Welcome to Iceland. 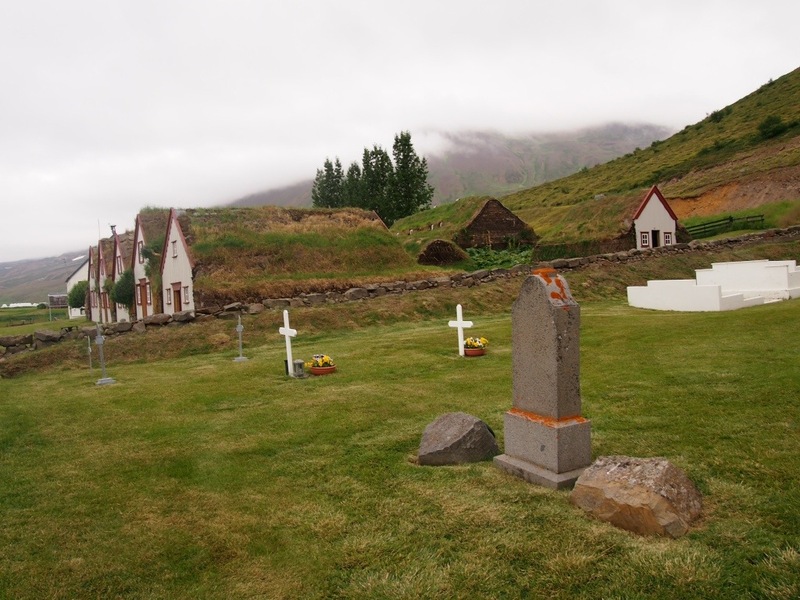 We’d just landed in a thick fog that surrounded the whole area of Keflavik. No closing the airport due to fog here like back home. The weather we would soon discover is so varied the airport would be closed most of the time. 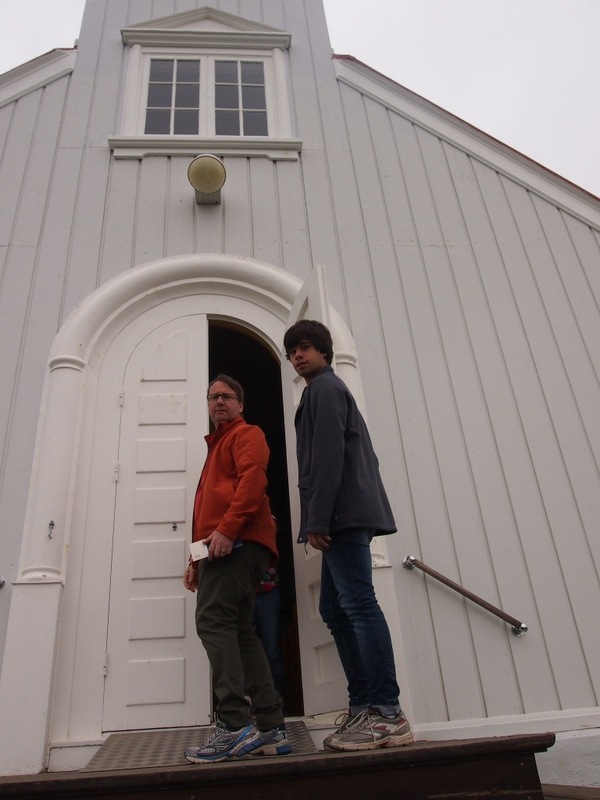 We started our trip around Iceland following the Ring Road (Highway 1) anti clock wise. The landscape is so varied here in a blink of an eye you have missed something. 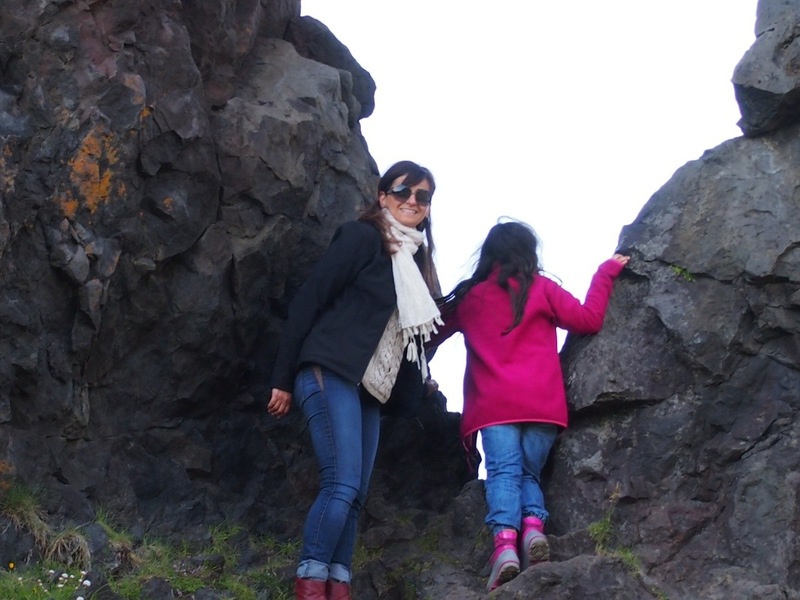 We headed for the West side of the island to the Snaefellsnes National Park. 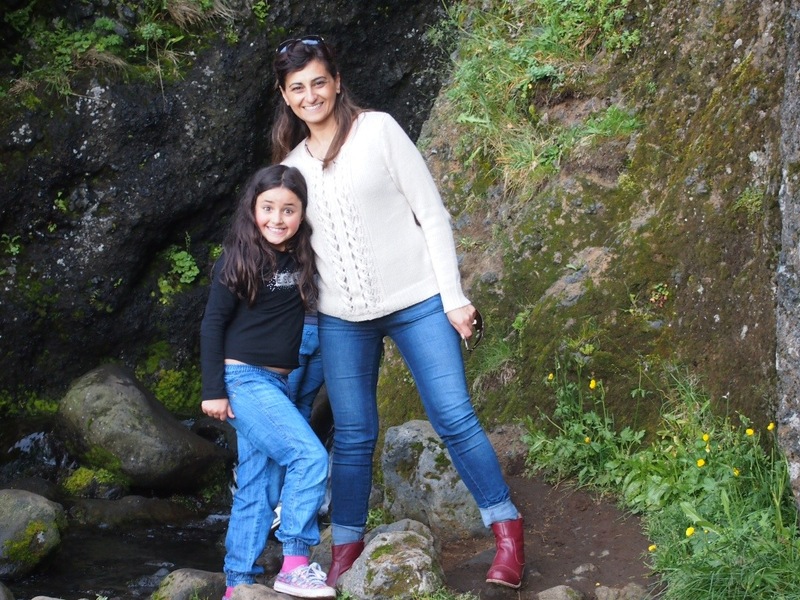 Along the drive there are many signs pointing out gorges, waterfalls and other areas of interest to explore. 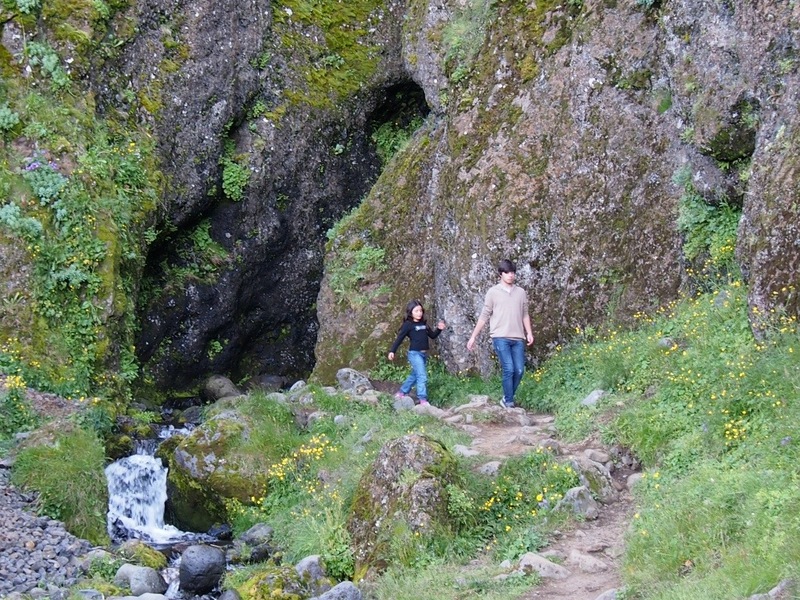 Every waterfall or gorge has a folk tale attached to it explaining how it was created. 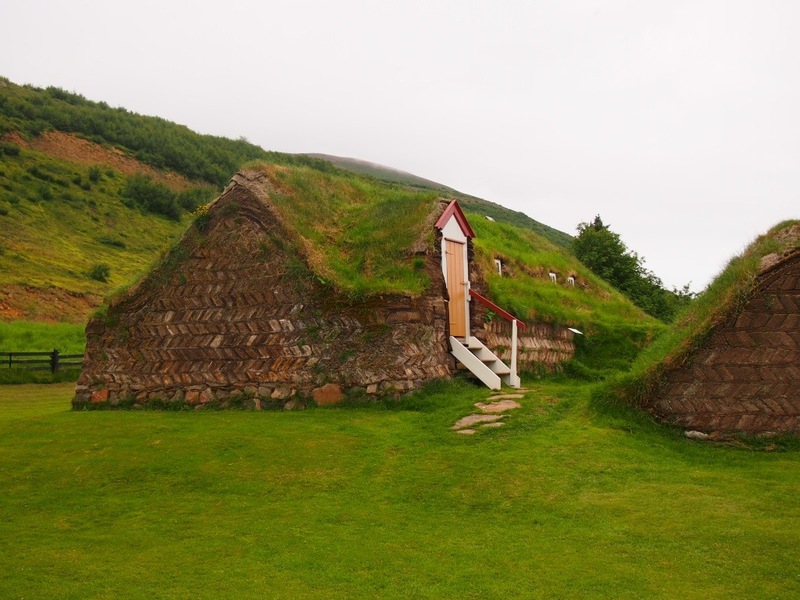 Our destination was the tiny town of Hellnar, situated just outside the National Park. 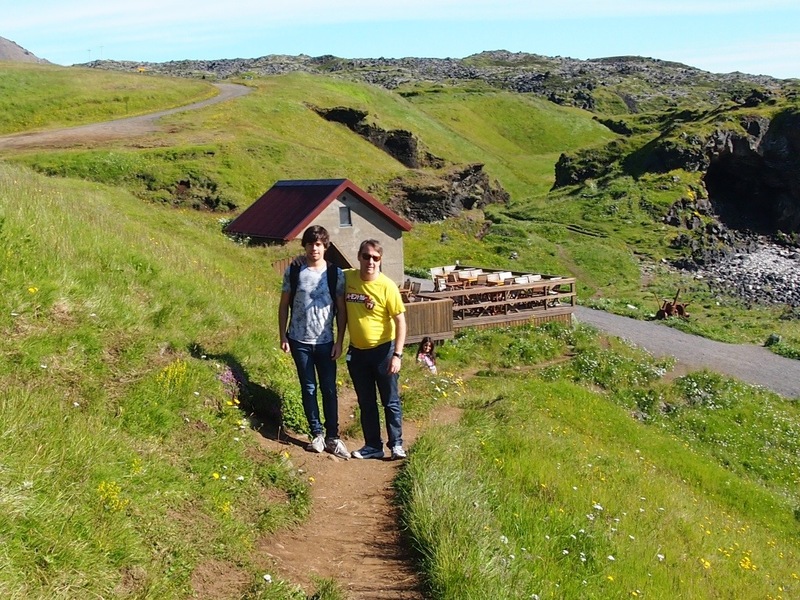 We had a beautiful view of Faxafloi bay with a scattering of four or five houses. 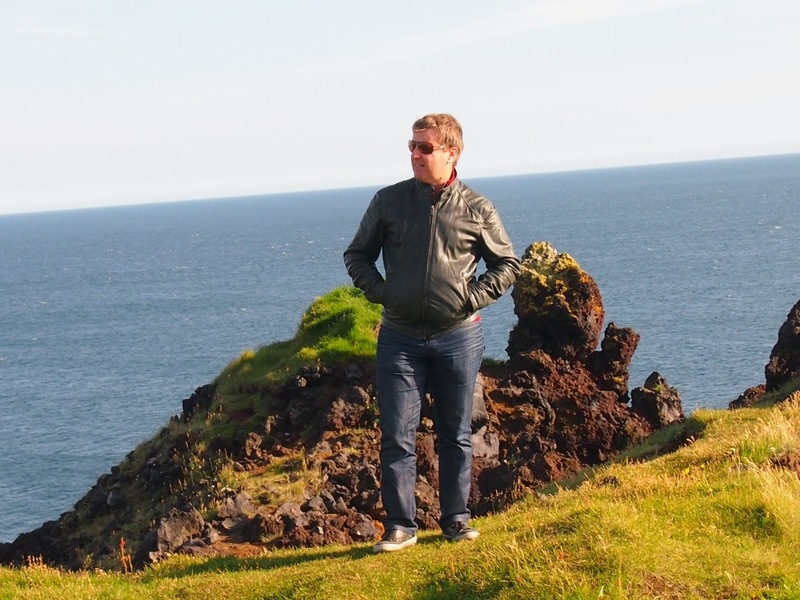 One of the most beautiful walks is to walk from Hellnar along the cliff to the next town of Arnarstapi.. The views from the Hotel Hellnar were breathtaking, one one side we had views of basalt cliffs set in a beautiful bay and one look back you were staring at Snaefellsjokull glacier. 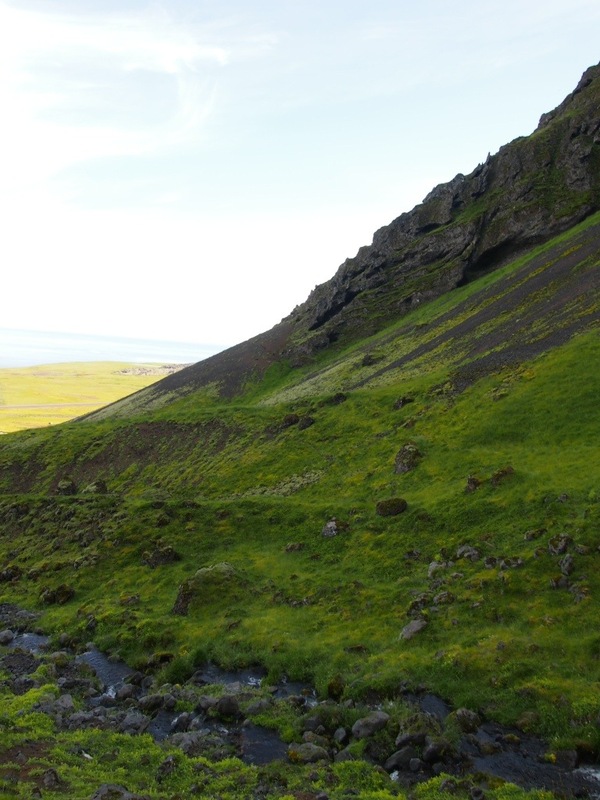 We thought this magical but we were to discover this is the smallest of the glaciers we were to view in Iceland. 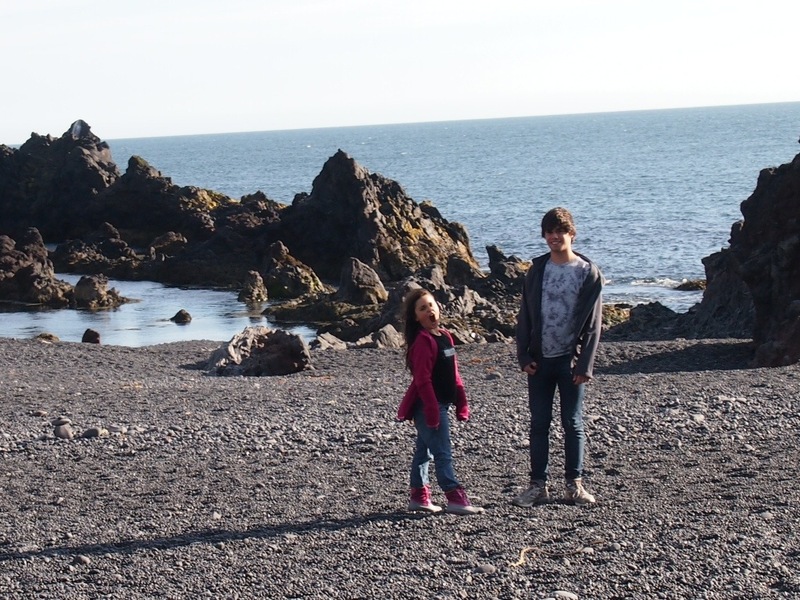 We spent the day exploring Djupslnossandur and Dritvik. 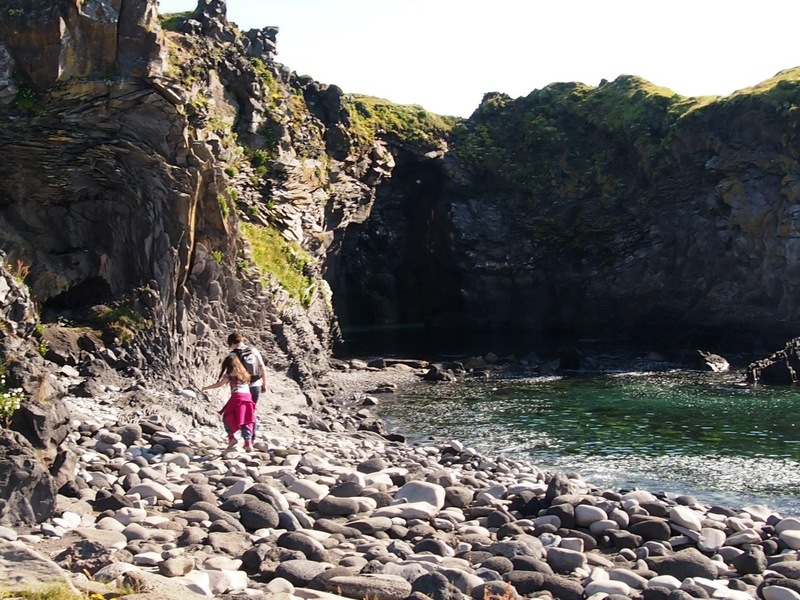 Short hikes take you along cliffs with peculiar rock formations. 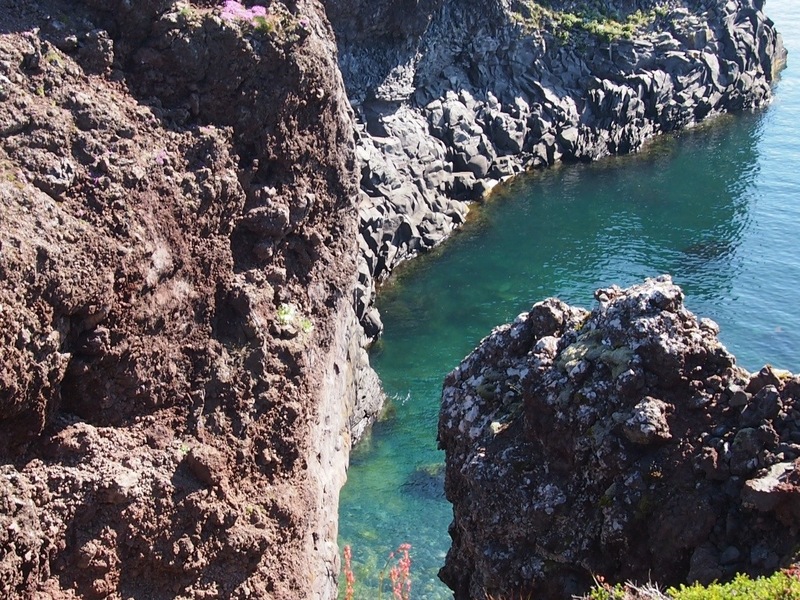 Dritvik is a bay enclosed by rocks and cliffs. 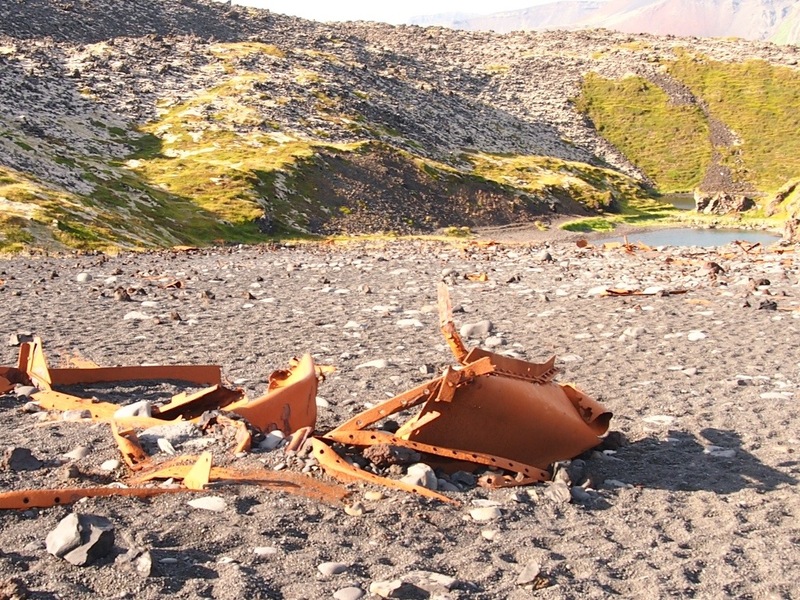 There are still pieces of rusted metals strewn all over the black pebbled beach from a ship wrecked fishing boat from back in the 40’s. 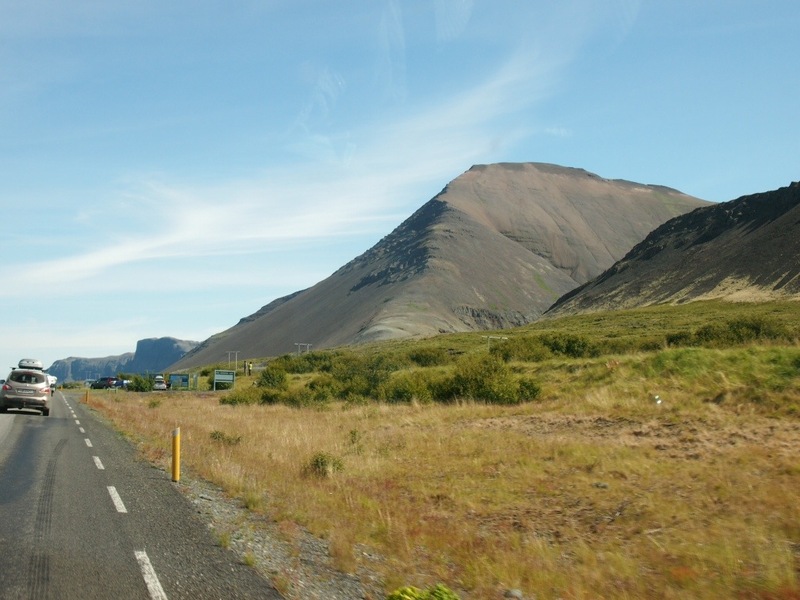 Our journey continued on Highway 1 for the long drive to Akuyreri. This was a five hour drive and even though we were on the major highway we are on a single lane road with many tourists pulling caravans etc. 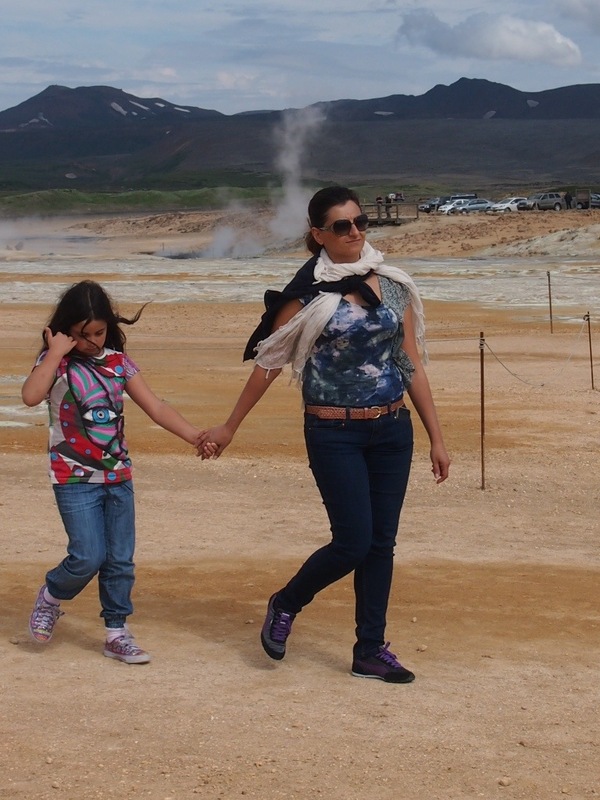 There are more tourists in Iceland in the summer time than there is Icelanders. With a total population of under 350,000 that would not be too difficult to achieve. 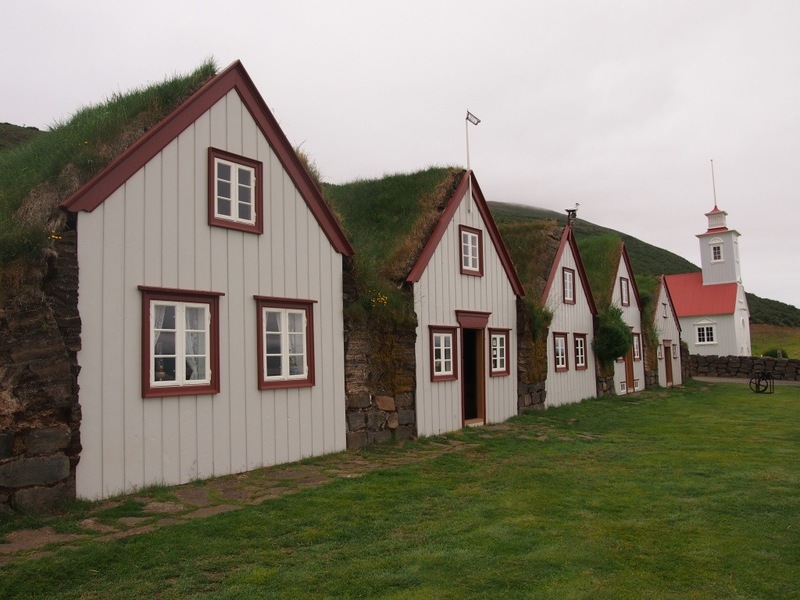 Akuyreri is Iceland’s second largest town situated in the North of the country. 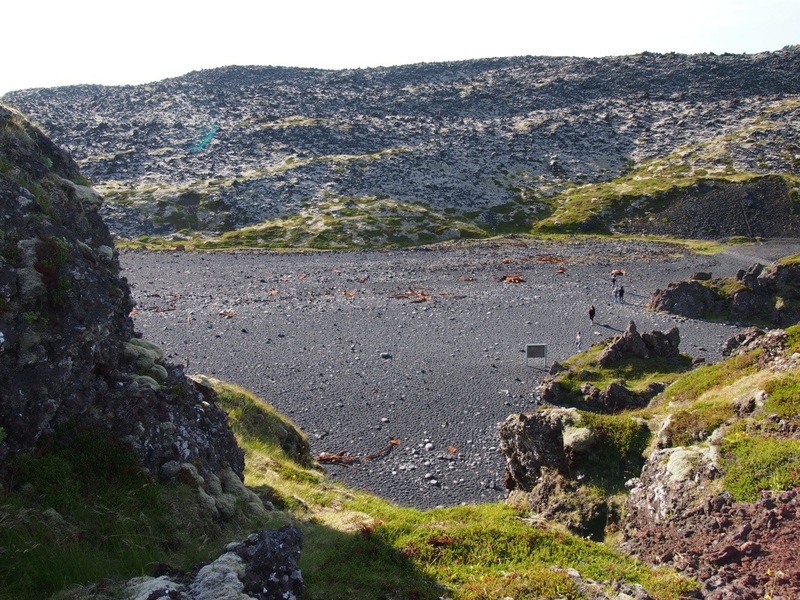 Akuyreri sits on a fjord called Eyjafjorour, this opens out towards the Arctic Ocean. 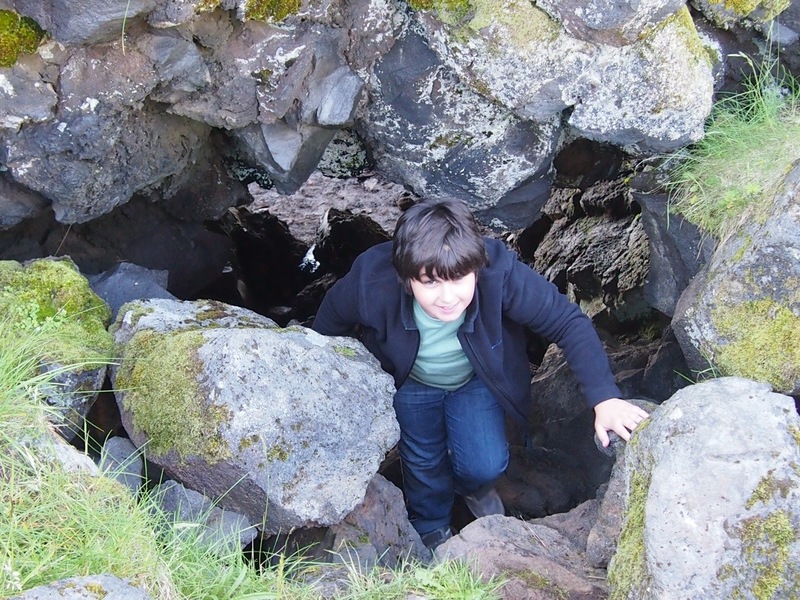 This is where we based ourselves for 3 nights so we could explore the Myvatn Lake area. Mývatn is a lake near Akureyri. 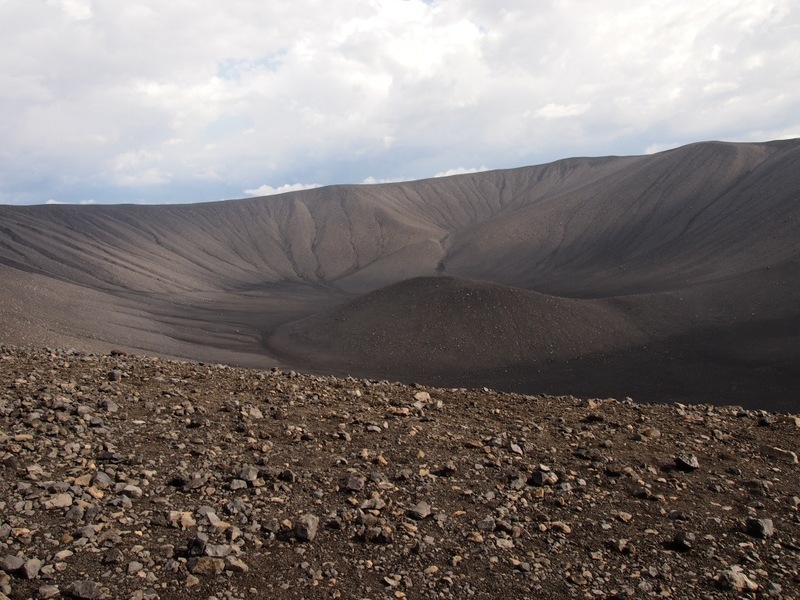 The lake was formed during a massive eruption 2300 years ago. 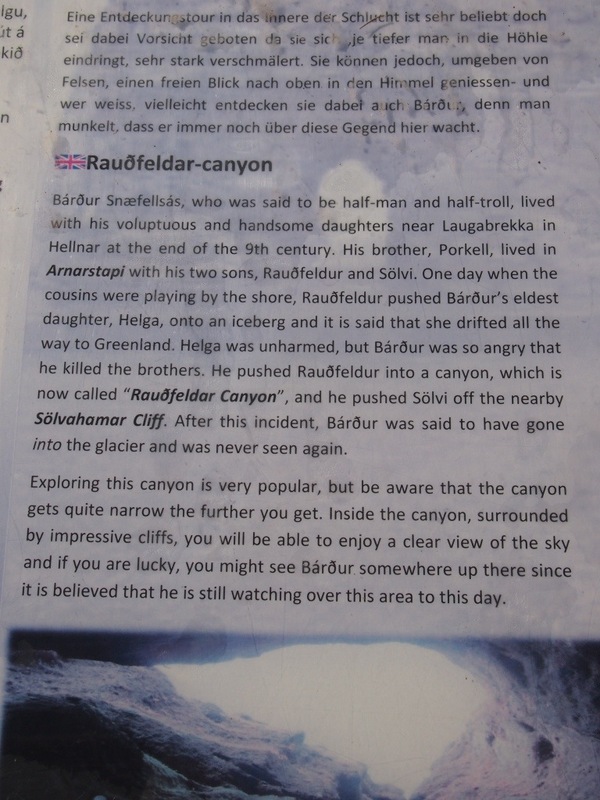 Today the area is best known for the huge numbers of birds that visit in the summer, and for the weird and inspiring volcanic features that surround the lake. 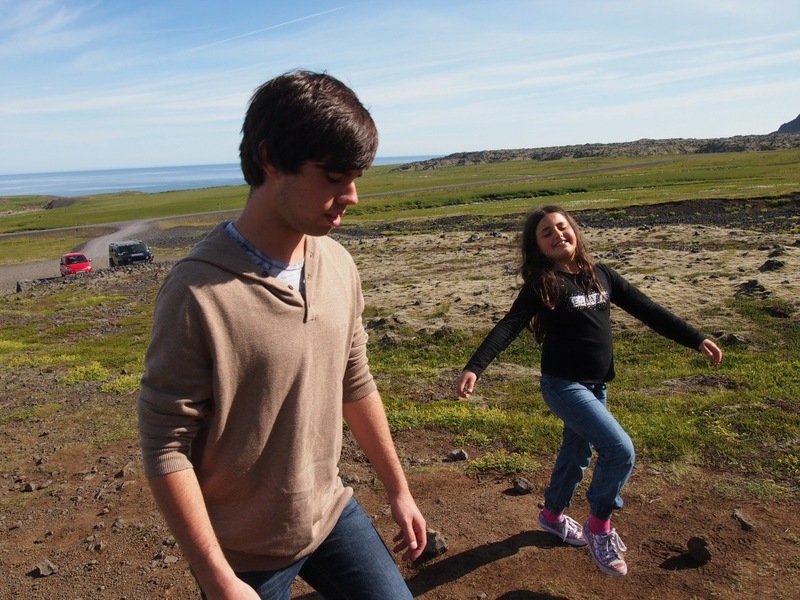 The name “Mývatn” is derived from the vast numbers of midges that gather at the lake. 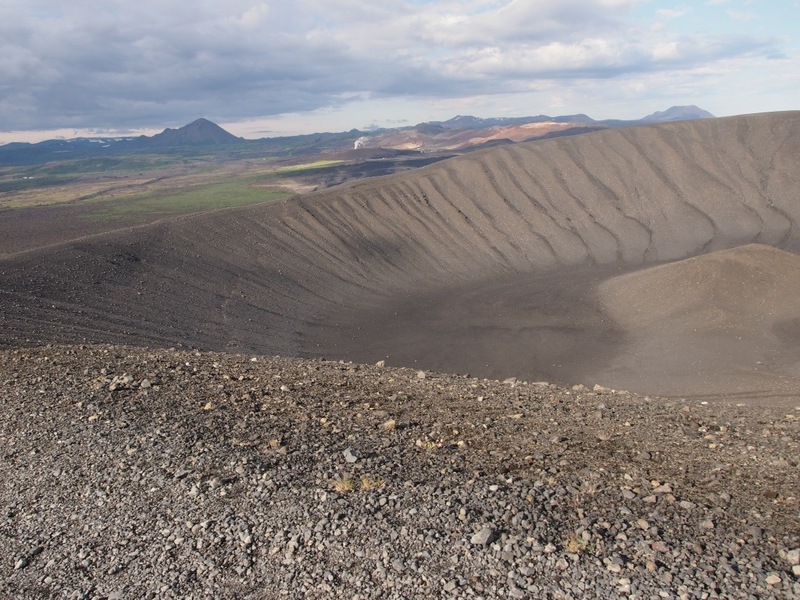 During the last Ice Age much of the Mývatn was covered by glaciers. 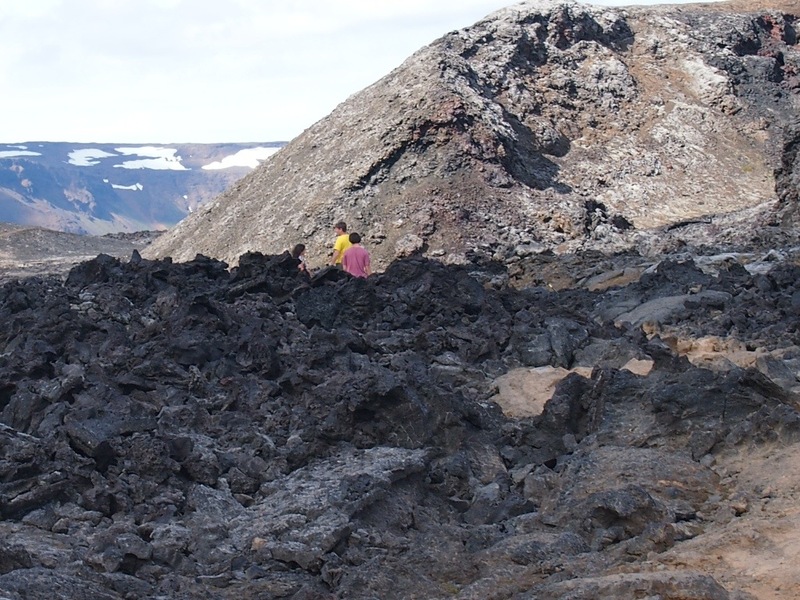 Eruptions below the ice led to the formation of some of the area’s mountains. 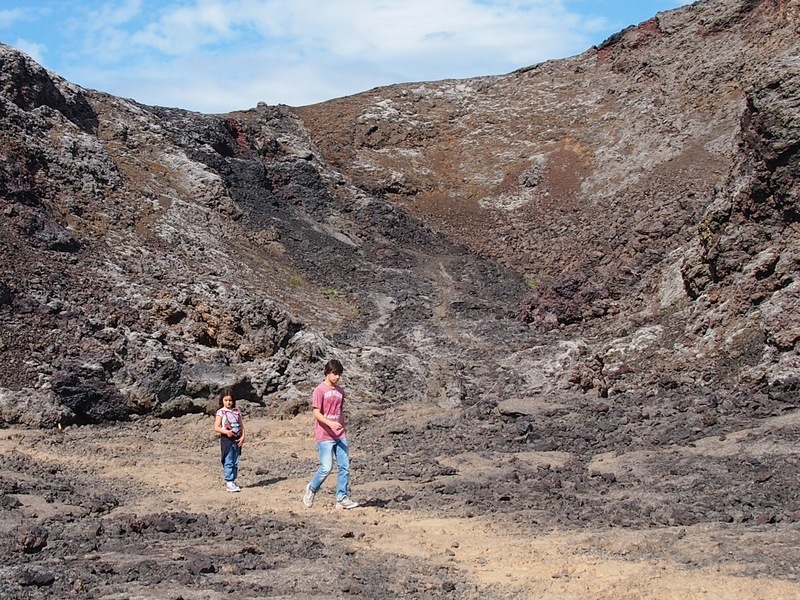 Major volcanic events since that time have occurred 3800 years ago, 2500 years ago, 2300 years ago, and during a series of eruptions lasting from 1724 until 1729. 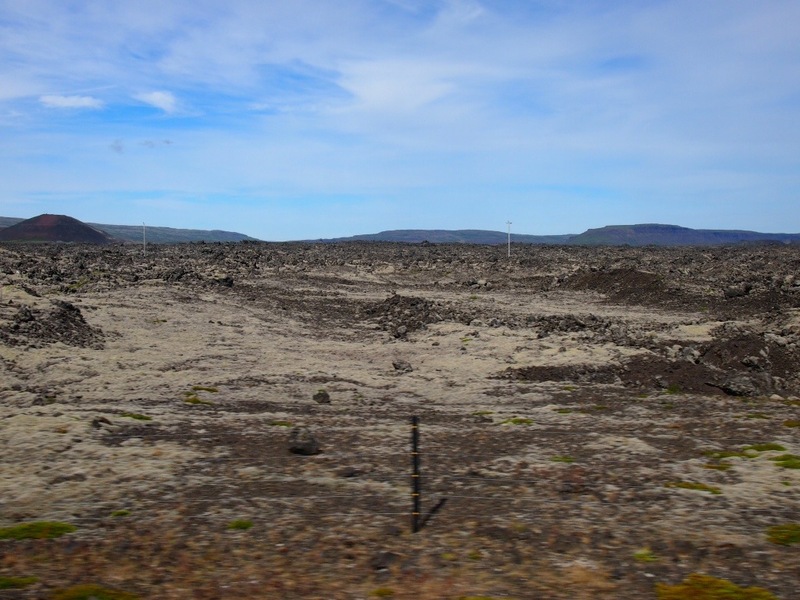 Most recently, eruptions of the Krafla volcano from 1975 until 1984 produced fresh lava flows in the area. 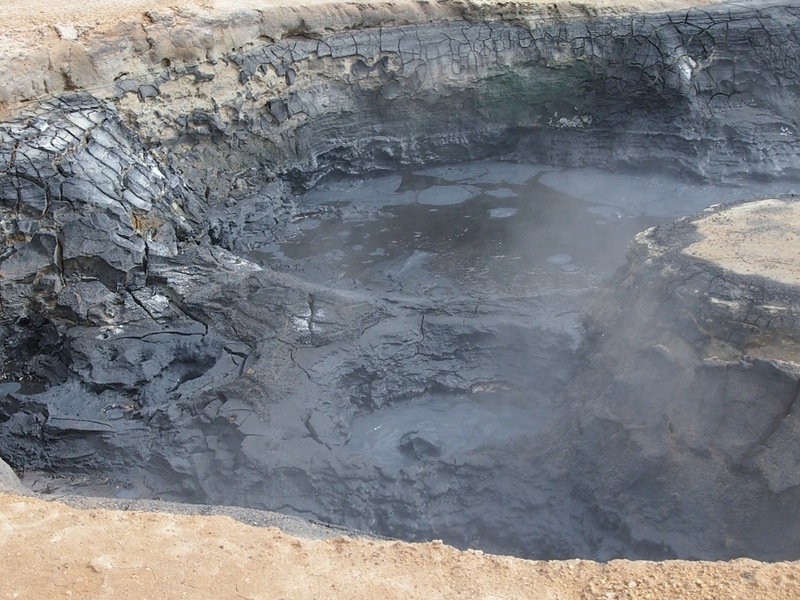 This volcanic activity is seen today in the relatively shallow lake, the many pseudocraters that surround it, and the fantastic lava formations and craters in the area. 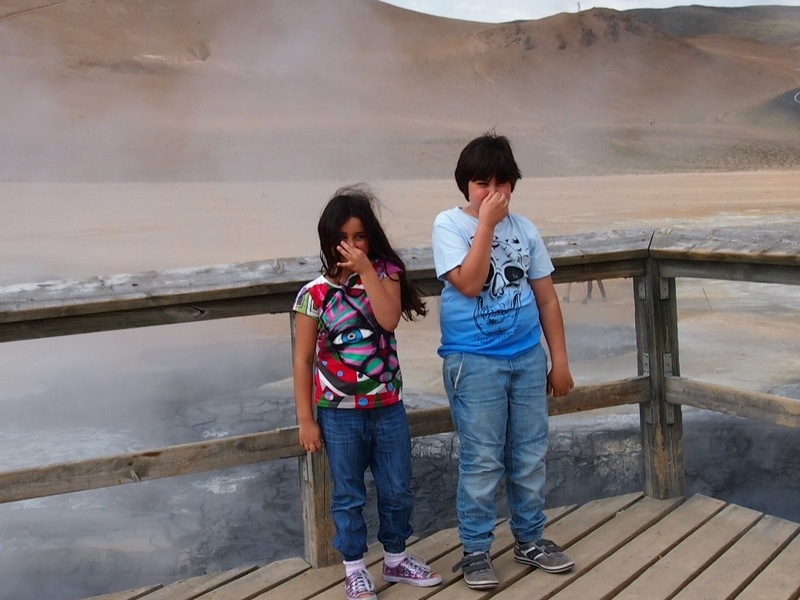 There is lots of geothermal activity in the area. Our first stop was a visit to Namasakro. 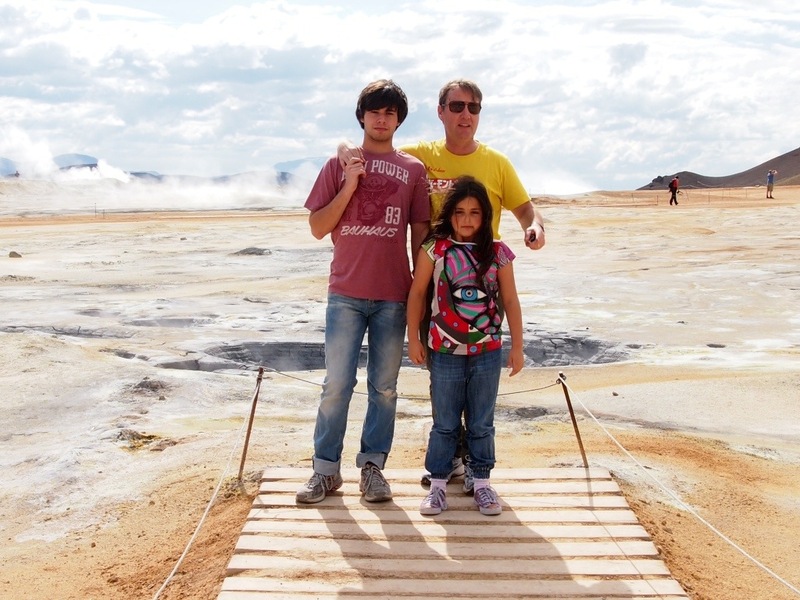 This is a high temperature area with bubbling mud pools and steaming fumaroles. The smell is overwhelming at times. Thomas could not cope with the rotten egg smell and tried to lock himself in the car. Unfortunately for him the smell lingers and permeates your clothes. 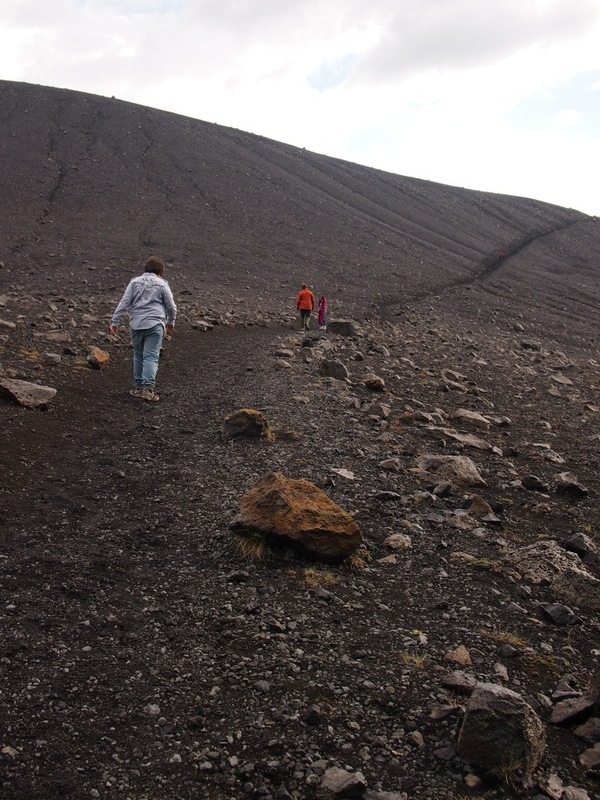 Our next visit was to the Krafla area for a hike through Iceland’s most active volcano area. 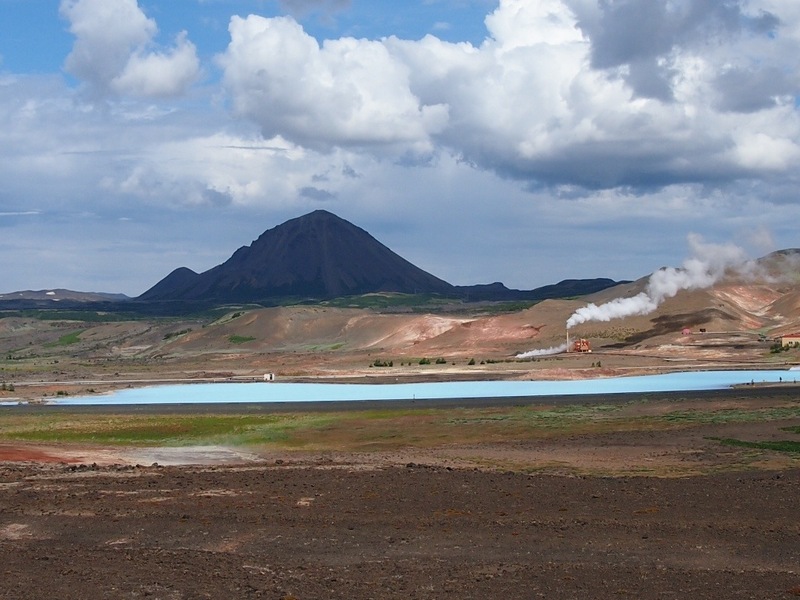 Krafla is one of Iceland’s most spectacular and most active volcanoes. 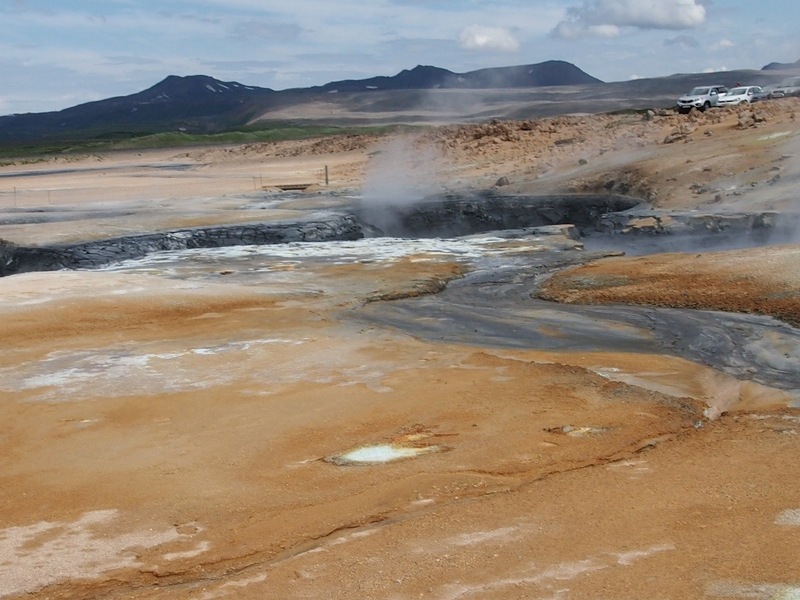 During the 1970’s and 1980’s, it became famous for its “Krafla Fires” – curtains of lava fountains from a system of fissures inside the hige caldera. 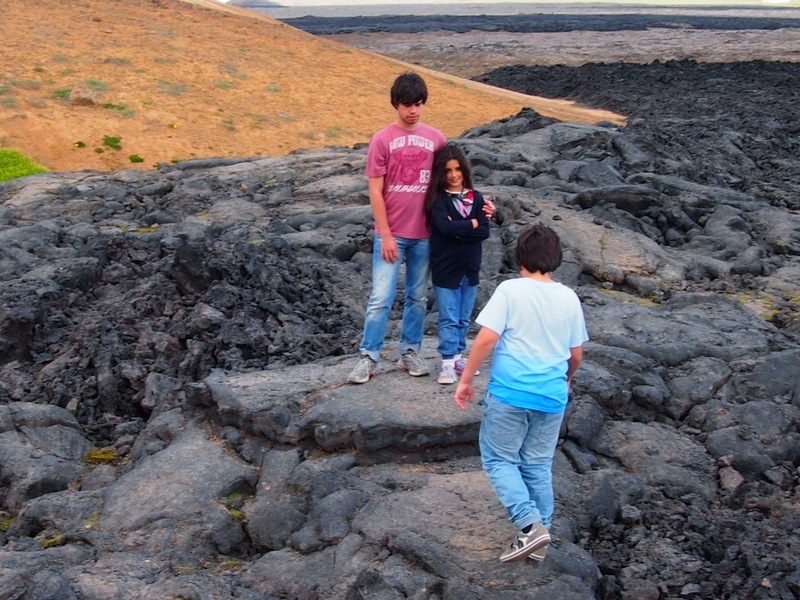 As you walk along the lava path there is still steam coming out of the earth. 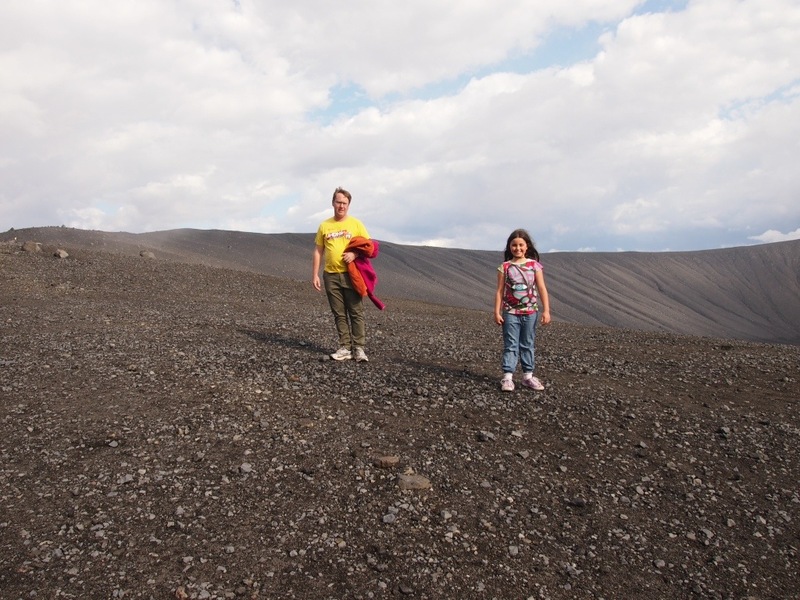 Our longest hike for the day was a walk around the crater Hverfjall. 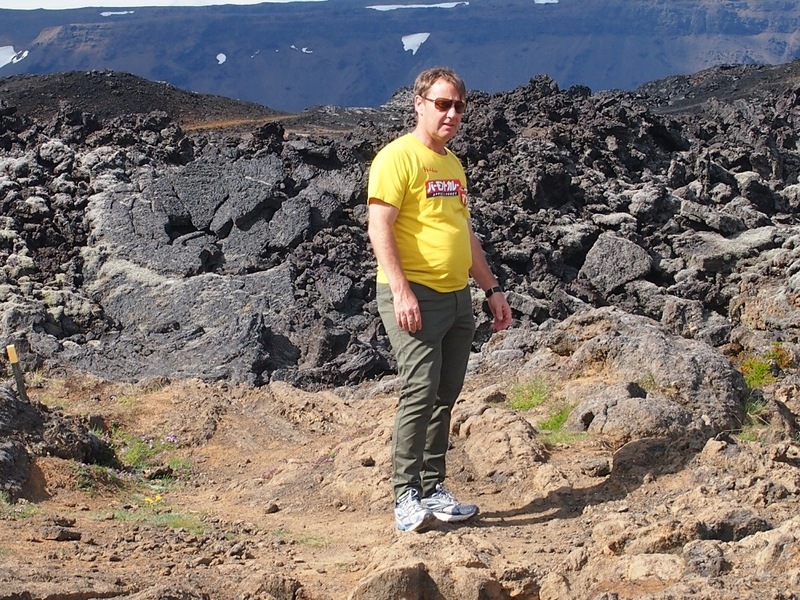 We walked around the rim of this perfectly formed tephra ring. One of the largest in the world. This was created 2500 years ago. 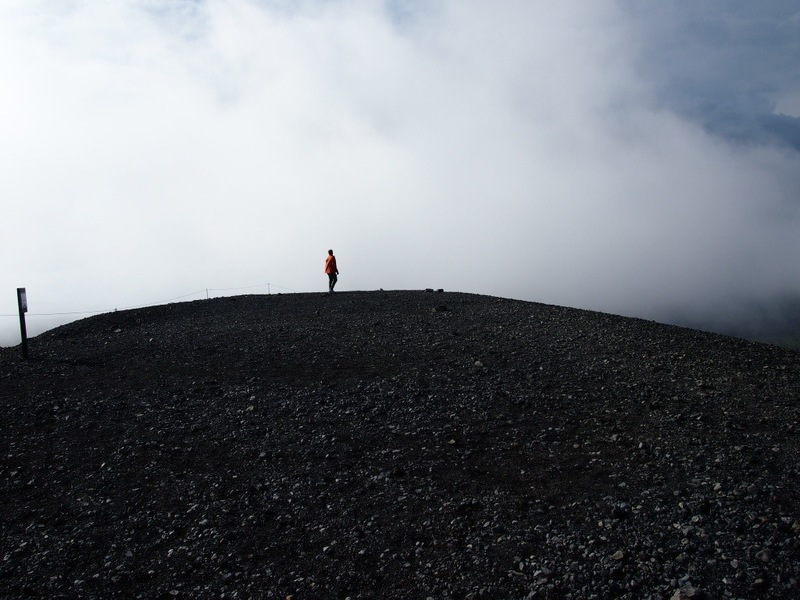 During our walk along the crater a thick band of fog descended and it was amazing how quickly the temperature plummeted. We started the walk with sunny skies and our jackets around our waist. By the time we had finished it was cold with strong winds blowing. 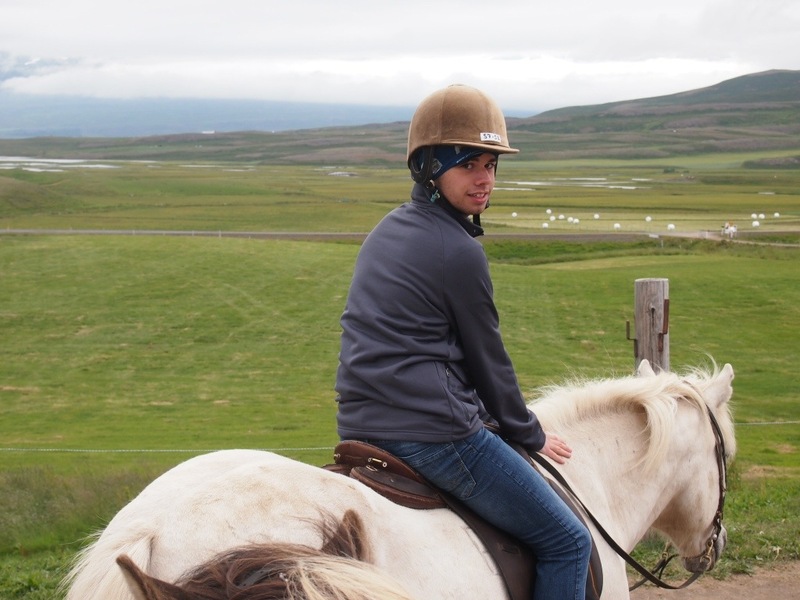 After experiencing the intense landscape of this region we headed north to the beautiful countryside along the fjord. 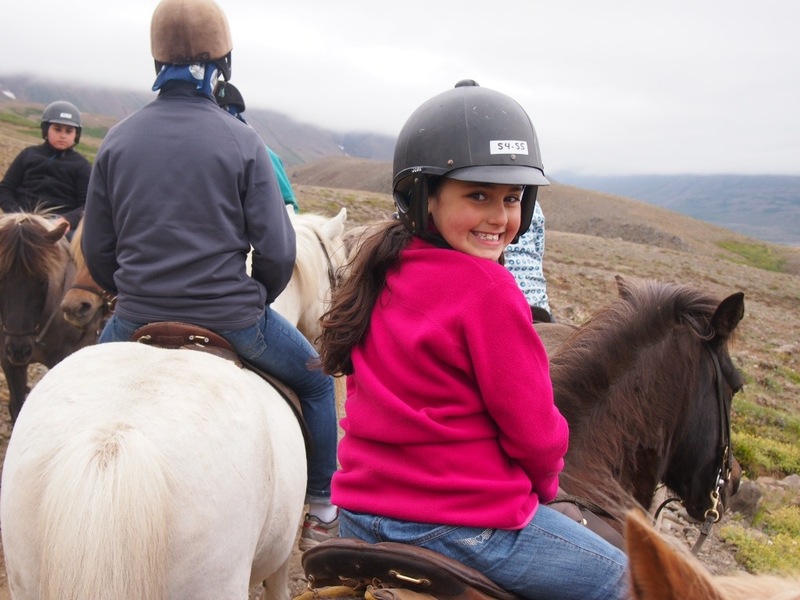 Traditional farms, Icelandic horses, and green rolling hills. 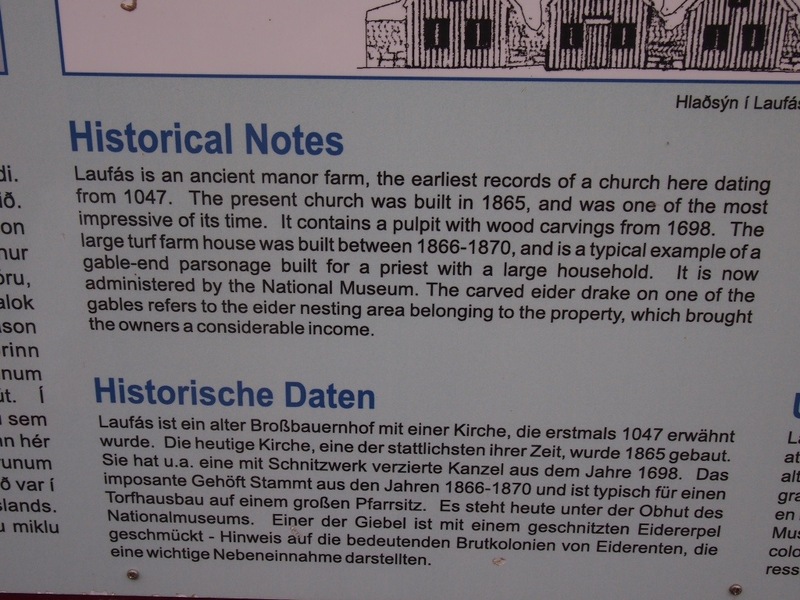 Along this drive we came along “Laufur” an old farm turned museum featuring traditional old turf buildings. 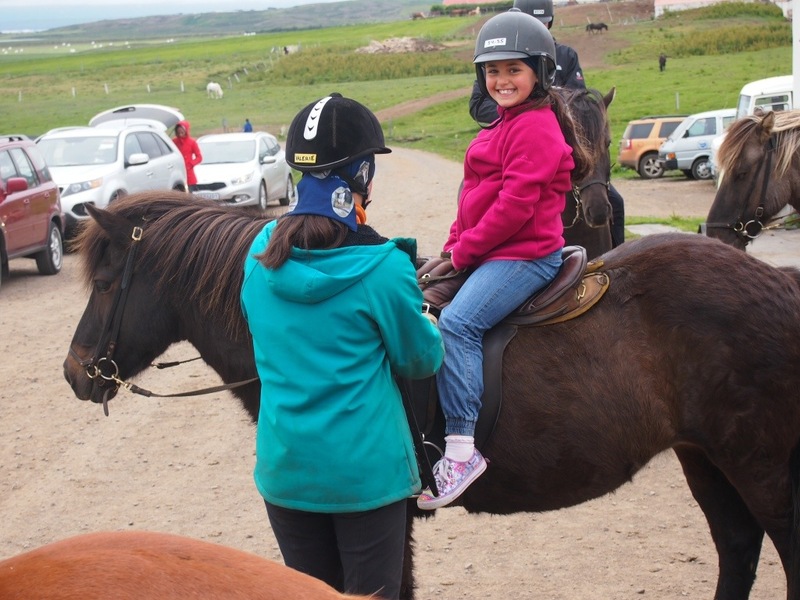 Allanah had begged and whined from the first time she set eyes on an Icelandic horse on the road side that she wanted to go horse riding. 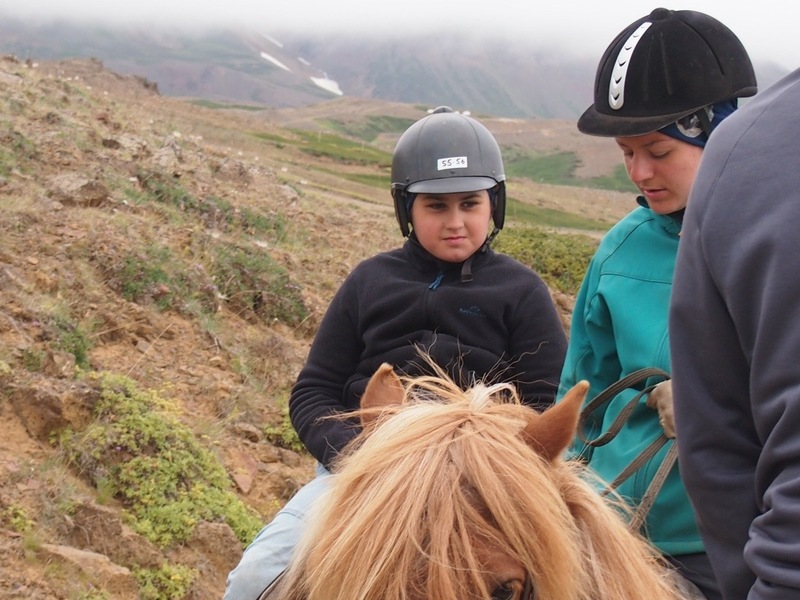 The Icelandic horse is more the size of a pony so we thought why not. 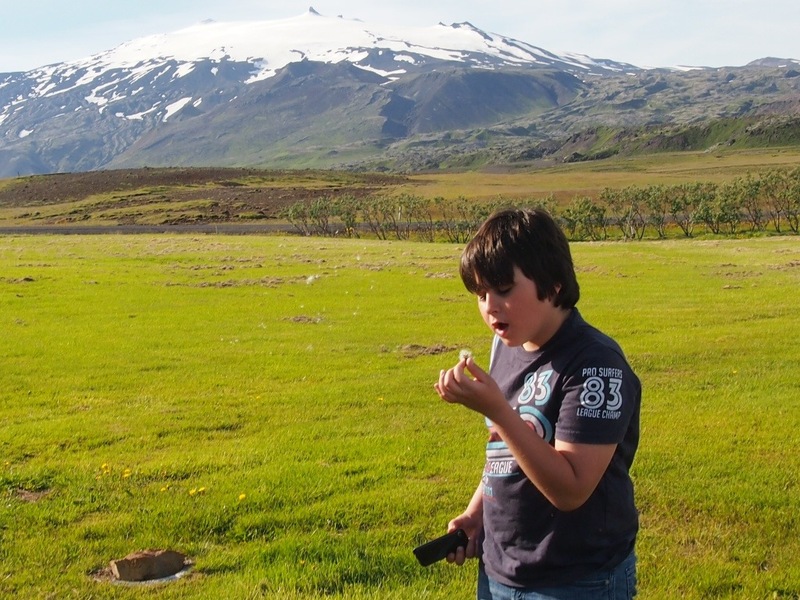 A very pure breedwith a calm temperament, Icelanders are very passionate about keeping their breed pure. 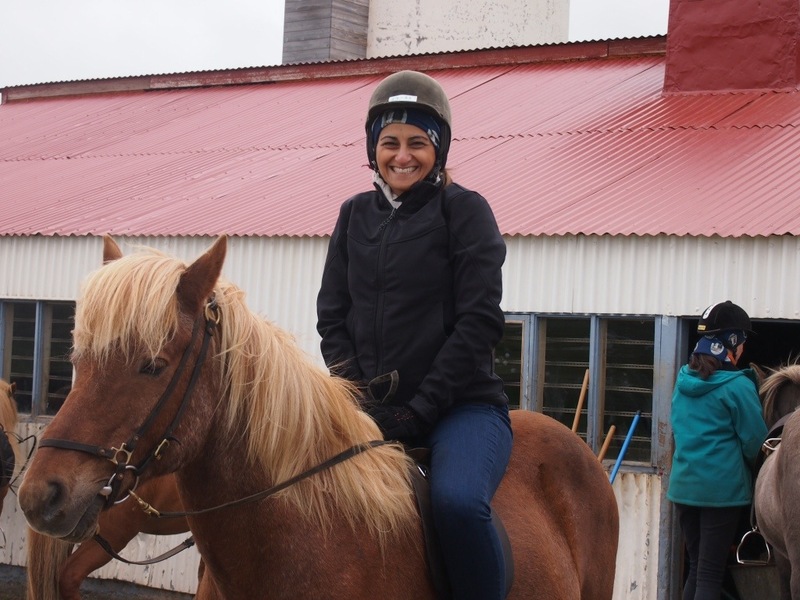 Once an Icelandic horse leaves Iceland it can never return.